A tour that combines cycling and playing golf. There is no better way to see the West of Ireland than to cycle from one premier golf course to the next. 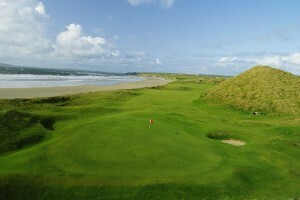 The tour will combine the best that Ireland has to offer in golfing and cycling. 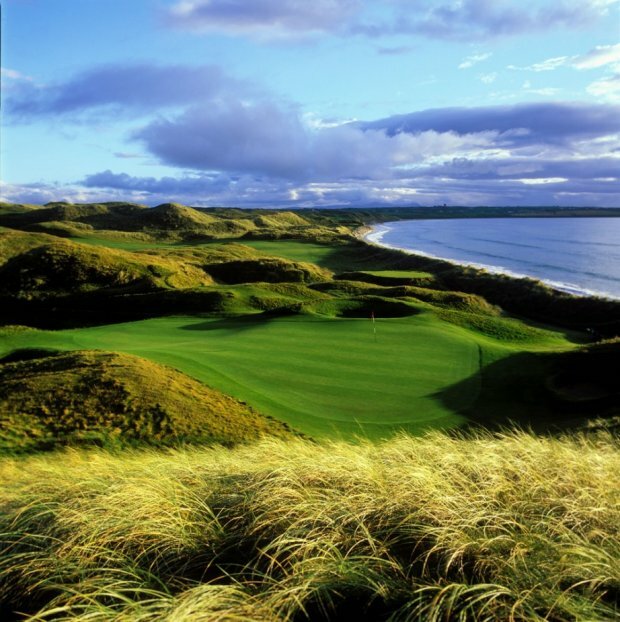 Ireland’s golf-course (there are some 330 courses) are gorgeously scenic, designed by golf’s greatest, and they guarantee the welcoming warmth of the Irish. This trip can also be arranged for partners whereby one may not like to golf, he or she can go bicycling, or enjoying other activities instead. Arrive in Ennis (there are regular buses from Shannon Airport or trains and buses from Dublin to Ennis). 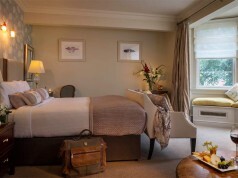 Stay the night in a beautiful hotel in this bustling historic market town in County Clare. Depending on arrival time we will meet you in the evening or first thing the following morning to adjust the bicycle for you and talk you through the days ahead. 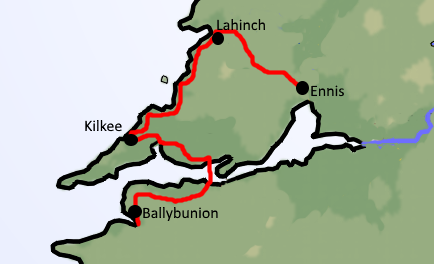 The route takes you away from the town on beautiful quiet back-roads through the Clare landscape with green rolling fields bordered by stone walls. Along the way you can side track to the early Christian site of Dysert O’Dea. Furthermore you may like to side-track to the artisan goats cheese maker St. Tola. Ennistymon is the perfect spot for a nice lunch before you arrive soon after in Lahinch. 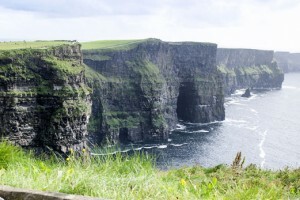 But you may like to cycle another 8km to the famous Cliffs of Moher. 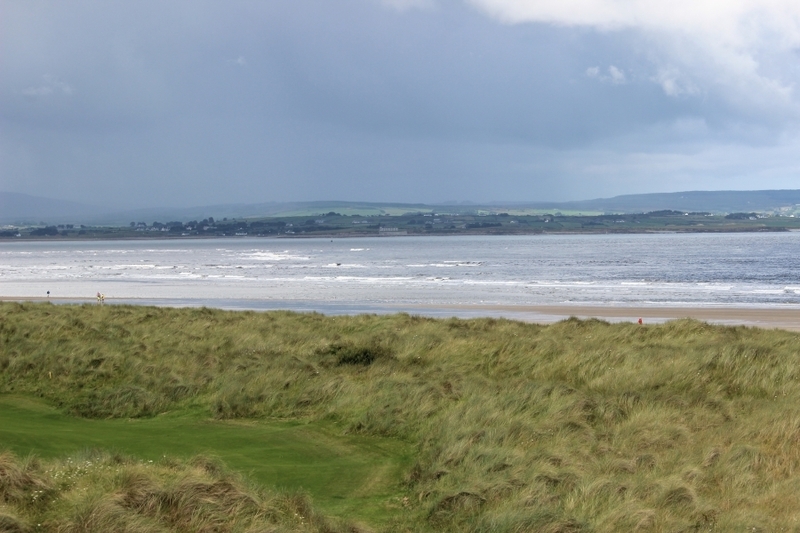 Founded in 1892, Lahinch Golf Club stands as one of the oldest golf clubs in Ireland. 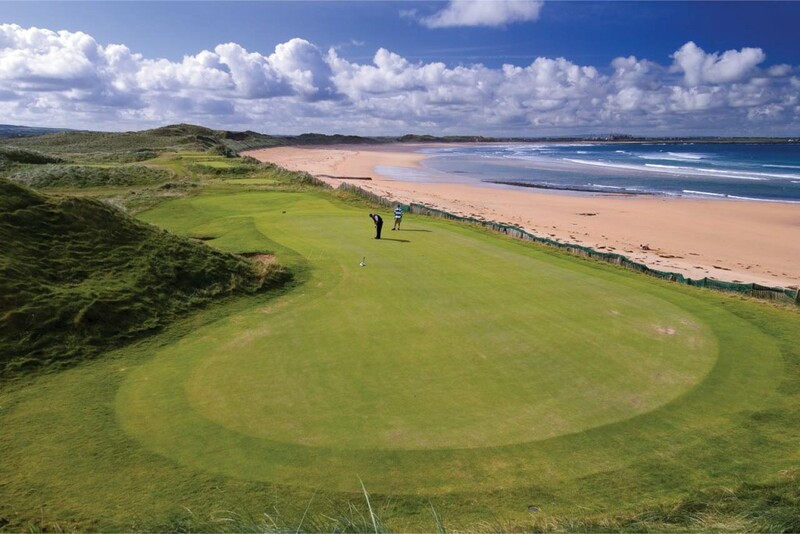 There are two 18-hole courses at the club, the Castle Course and the Old Course. Over the years this picturesque course has welcomed tour professionals such as Luke Donald, Davis Love and Jim Furyk. Phil Mickelson also happens to be an Honorary lifetime member. The Old Course offers up a unique challenge with towering sand dunes that call for frequent blind shots and the unpredictable Atlantic breeze, which keeps even the most experienced of golfers on their toes. This course will really challenge your game as the terrain, weather and bunkers can force some shots you may have not thought possible. 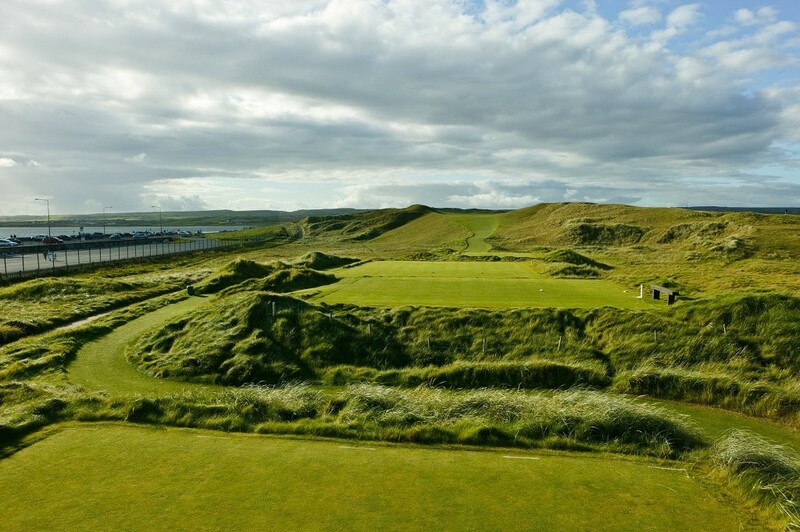 The Castle Course is a slightly less formidable challenge than the Old Course, though equally as interesting a prospect, the origins of the Castle Course date back almost as far as its sister course. You cycle on a backroad overlooking the coast before cycling through Spanish Point and further south to the seaside town of Kilkee, for a two-night stay. Kilkee was a favourite holiday spot with the Victorians due to a safe & beautiful beach. You may like to venture a bit further out towards Loop Head, a most magnificent coastline awaits. 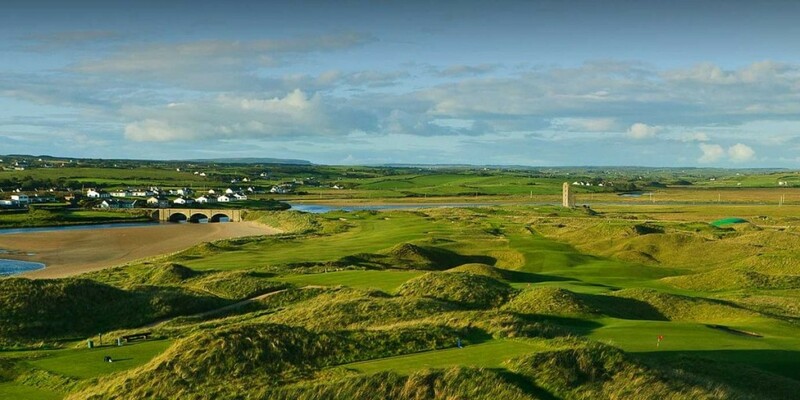 Trump International Golf Links Ireland (formerly known as Doonbeg Golf Club) has a diverse landscape that sprawls from a crescent-shaped beach covered in centuries-old sand dunes inland towards verdant rolling hills. Greg Norman, the course’s designer, was immediately aware of the enormous potential available. The rugged terrain practically made the course itself. Fourteen of the greens and twelve of the fairways required no changes at all, just a simple mowing of the grass. Routed along the existing 100-foot dunes, the layout is a simple loop of nine holes out and nine holes back, but the speed and direction of the wind make the course uniquely challenging every time you play. The towering fescue rough throughout is nearly impenetrable but they are nicely balanced by the wide fairways. There are also different bunker varieties used, including Scottish-style pot bunkers. 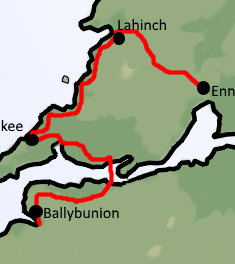 Keep along the coast and cycle to the ferry port of Killimer, from where the ferry will take you over the Shannon to Tarbert. The Shannon estuary is home to Dolphins and if you are lucky they will follow the boat. 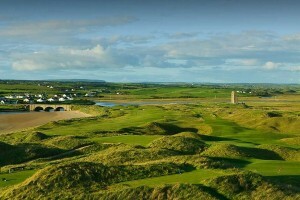 You then cycle through the green pastures of County Limerick to Ballybunion in North Kerry. Stay here for the next two nights. 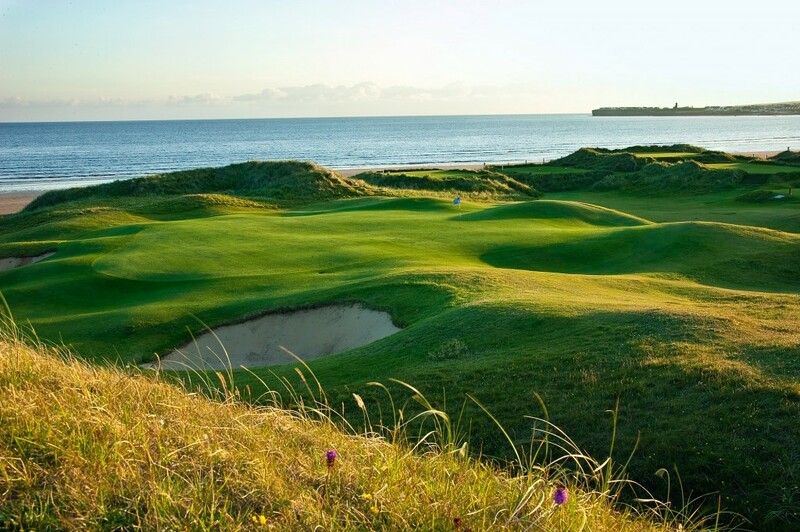 The Old Course is the original course at Ballybunion Golf Club, and it is joined by another championship links course designed by Robert Trent Jones. 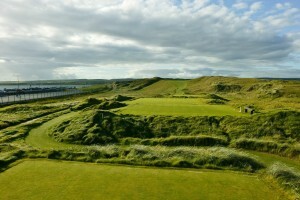 The Old Course has gained a reputation as one of the best links golf courses in the world. 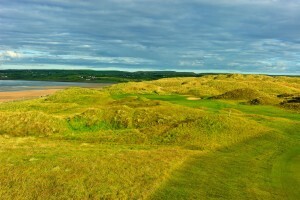 The classic linksland terrain is covered with rolling sandhills and grassy dunes. 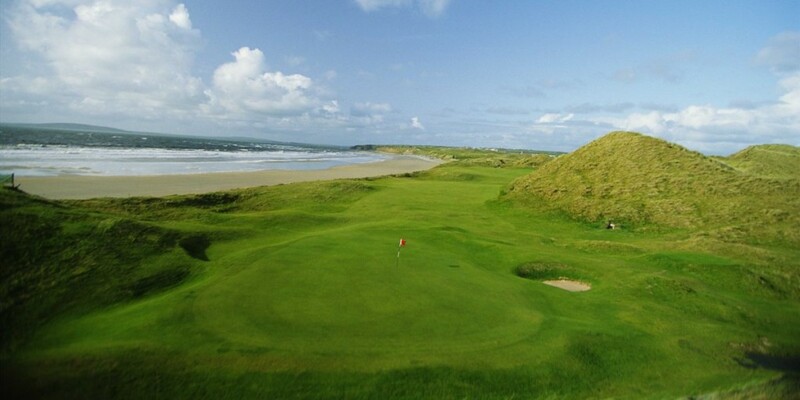 The challenging layout features narrow, contoured fairways that feel as though they are tunneled through the dunes. 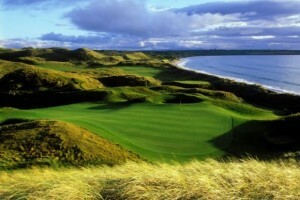 The golf course begins gently but by the seventh hole, it is clear why it is ranked as one of the best in the world. 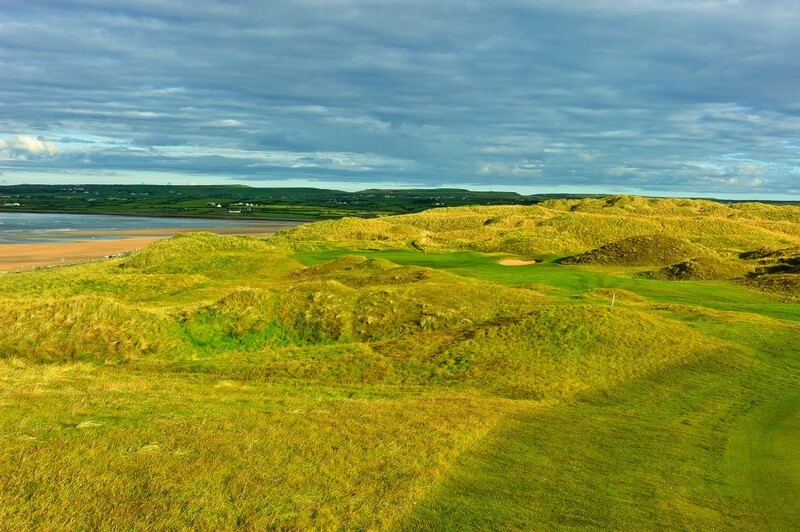 Golfers at Ballybunion should be prepared for a formidable test of their shot-making, placement, and trajectory control skills. The already beautiful landscape is further enhanced by the stunning views of the Atlantic. 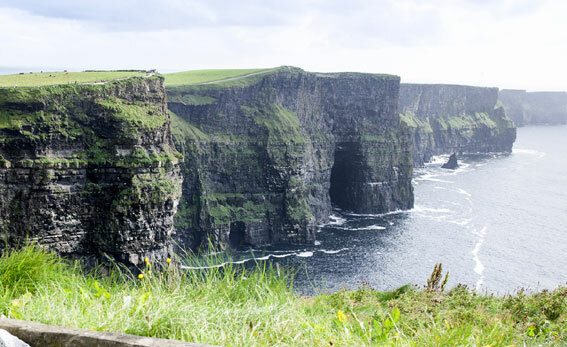 Breakfast, followed by farewell and departure for your onward journey – we will bring you to Limerick from where you can catch bus or train to Dublin. Alternative arrangements can be organised. Detailed daily route notes, maps, and route notes, gpx files, personal meet and greet, and emergency support. This golf and cycle tour is designed to stay in beautiful, comfortable hotels. You can upgrade to 5* resort hotel if you wish. 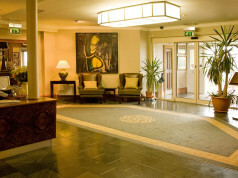 The hotel was built in 2005 on the edge of Lahinch village and is a low key high quality retreat complete with superb Seafood Restaurant and a lovely cocktail lounge. The atmosphere is informal but the service is professional and to the highest standard.